Many companies today are starting to see the importance of automated marketing platforms. Increasingly essential to lead generation, customer relationship management and email marketing, automated marketing platforms have started to play an important role in connecting businesses to their clients in an efficient and cost-effective way. In this article, we will be taking an in-depth look at two such systems – ActiveCampaign and AWeber – to determine their pros and cons. While both platforms are designed to be full-service automated marketing systems, it is important to fully understand the tools at your disposal, and to factor in the specific needs of your business before making an informed decision. Founded in 2003, Chicago-based ActiveCampaign is a 16 person team that currently manages 100,000 mostly small and medium sized businesses around the world. Like AWeber and other competitors, ActiveCampaign offers CRM sales and automation, marketing automation and email marketing tools often used to produce newsletters, templates and mobile support. 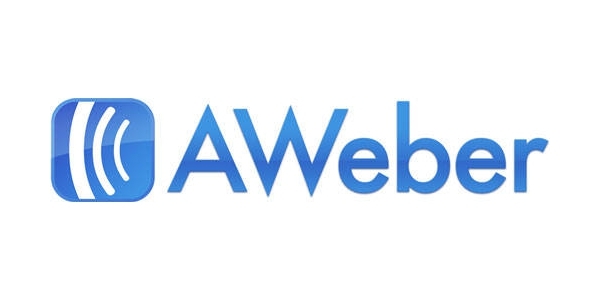 Founded in 1998 in Chalfont, Pennsylvania, AWeber develops and maintains web-based tools designed to help over 100,000 small and medium businesses reach and communicate with their clients everyday. Their opt-in email marketing service is maintained by a team of 110+ employees and provides services similar to ActiveCampaign. Let’s do a quick run down of what these terms mean, and what they can provide for your business. Before automated marketing platforms, customer relationship management (CRM) was regarded as a business philosophy more than a technical solution. Nowadays however, CRM has come to mean the application of technology onto customer service techniques, in order to develop better strategies and to gain valuable insights about customer behaviours. Platforms like ActiveCampaign and AWeber are specifically designed to efficiently manage the relationship between businesses and their customers. Still considered the easiest and most effective way to reach out to customers, email marketing holds tremendous value for business owners. From newsletters to targeted campaigns, email marketing campaigns can not only create conversations about a brand, they can drive consumers to stores in droves. Email marketing campaigns are more than just a tool to reach out to customers, they’re also extremely versatile. They can easily be integrated into other marketing tactics — granting business owners the ability to execute anything from simple to complex marketing plans. Both ActiveCampaign and AWeber offer a service called Marketing Automation. As its name suggests, marketing automation software aims to eliminate repetitive tasks that marketing departments often undertake, like sending out emails, newsletters and posting on social media. Tools like these make life easier for all involved and are incredibly helpful in increasing employee productivity. When properly utilised, marketing automation software can help departments target specific audiences with content that may be more personalised and relevant to their interests. This in turn, increases the conversion rate of leads into customers. Technology has evolved customer expectations, forcing business to reevaluate their sales techniques. Nowadays, customers demand service that is fast, efficient and available around the clock. They expect businesses to have an online presence that not only answers inquiries about products and services, but handles complaints and concerns seamlessly. Sales service tools are now an indispensable part of any business. Apart from improving customer experience, sales service tools come with analytics and data gathering features that can provide invaluable insights from buyer behaviour to feedback about products and services. ActiveCampaign’s CRM tool has a clean and easy-to-use interface. Their drag and drop functionality allows users to easily move prospects through various stages of their buying process, and integrating existing email accounts into their system is a breeze. The aforementioned function is an incredibly useful feature that allows users to track correspondence, even if it’s outside of the ActiveCampaign tool. In addition, ActiveCampaign boasts a bunch of useful features, like automatic detection of time zones and locations for incoming emails. ActiveCampaign offers packages ranging from $9 to $149, based on the number of tools and services you order. It goes without saying that one can do more with more tools at their disposal. AWeber has an excellent autoresponder tool which enables customers to get the information they need whenever they need it. All users need to do is to load it up with a series of emails, which can then be scheduled for delivery. AWeber’s CRM tool is also great if you want to maximize audience engagement. However, compared to ActiveCampaign, AWeber’s data importing capabilities are very limited. Extracting data can turn into a tedious activity, especially if third-party software is involved. AWeber has “pay as you grow” packages ranging from $19 to $149, based on the number of subscribers or customers a business’ campaigns are engaging. They offer the same range of services in all packages. Overall, ActiveCampaign and AWeber are quite similar. However, ActiveCampaign edges it by possessing an easier user-interface and tools that are more advanced. ActiveCampaign’s CRM tool is more powerful and insightful, providing an in-depth look at the way businesss engage with customers that actually makes customer-brand communication more of a journey than just a transaction. If you want to know more about ActiveCampaign, click here to go to their official website. Give it a try today! © 2016 chmstrategy. All Rights Reserved.